Apple Dumping 30-pin Connector? How About Dumping Cords Altogether? Rumor has it that one change in store for the next iPhone model is the size of the charging / syncing connector. All of your iPod, iPhone, and iPad accessories may soon be obsolete. 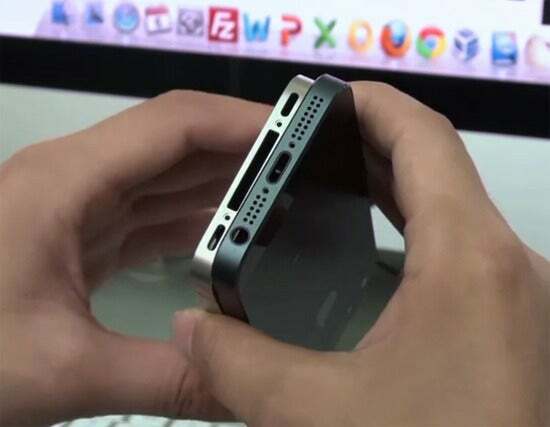 A YouTube video claims to show the existing iPhone 4S next to the case from what appears to be a next-generation iPhone 5 (or “New iPhone”) case, and the port where the connector goes is obviously smaller. If the video is valid, you may need to upgrade a bunch of other gadgets as well in order for them to work with the new iPhone. This video claims to show the new iPhone case with smaller connector port. The iconic 30-pin connector has been used by Apple for nearly a decade. The iPod line, iPhones, and iPad all use the same connector, and there’s an entire cottage industry devoted to cranking out peripherals and attachments designed to plug into that 30-pin connector. If Apple changes from the standard 30-pin connector to a new 19-pin connector it will make all of your existing accessories obsolete. Your vehicle might be outfitted with a docking station using the 30-pin connector to play music from your iPod, iPhone, or iPad. You might have an alarm clock, or home stereo system with a 30-pin connector. It’s very convenient that all of the iDevices use the same connector. It means that you can have one charging cable plugged in, and use it to charge any device on an as-needed basis. Thanks to the popularity of the iPod, iPhone, and iPad, it also means that you can probably find someone who has a charging cable if the need arises no matter where you are. Introducing a new 19-pin connector won’t really make existing 30-pin devices obsolete per se. They’ll still work just like they do now--they just won’t connect to your new iPhone. If you have multiple devices, you’ll still need your 30-pin cables and gadgets for the older models. It seems fair to assume someone will develop an adapter that will let you connect the 19-pin iPhone to existing 30-pin cables and peripherals. I’m not quite as confident, though, that those adapters will be elegant or aesthetically pleasing. If you’re planning on getting a new iPhone this fall, you might want to start setting some extra money aside for the accessories you’ll need to replace as well.